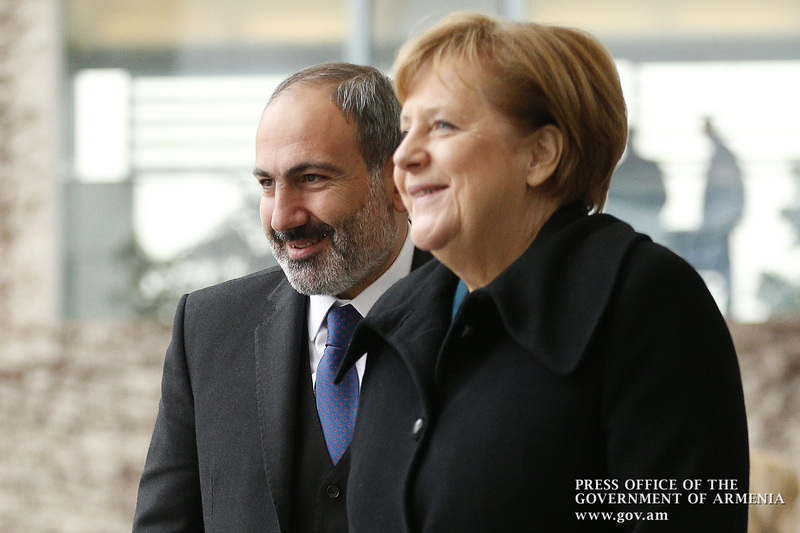 Prime Minister Nikol Pashinyan, who is paying an official visit to the Federal Republic of Germany, today met with German Chancellor Angela Merkel in Berlin. 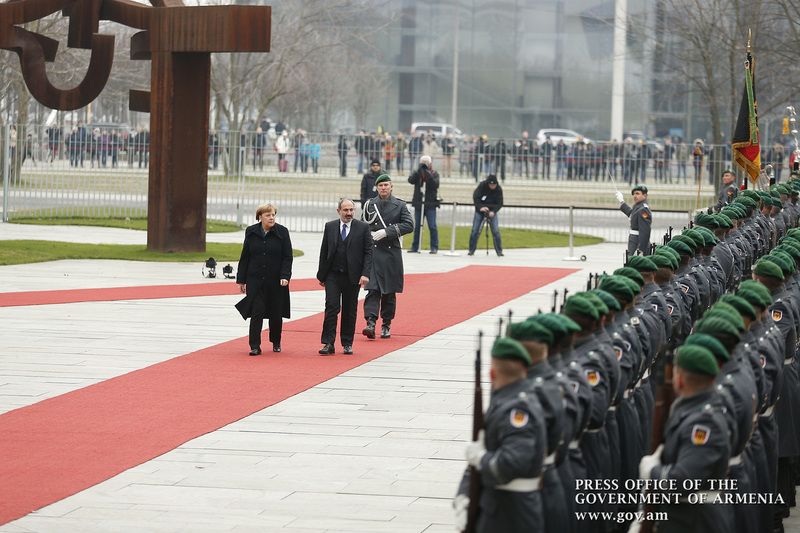 An official welcoming ceremony was held at the German Chancellor’s Residence: the flags of Germany, Armenia and the EU were raised, the Guard of Honor and the Military Band stood along the red carpet. 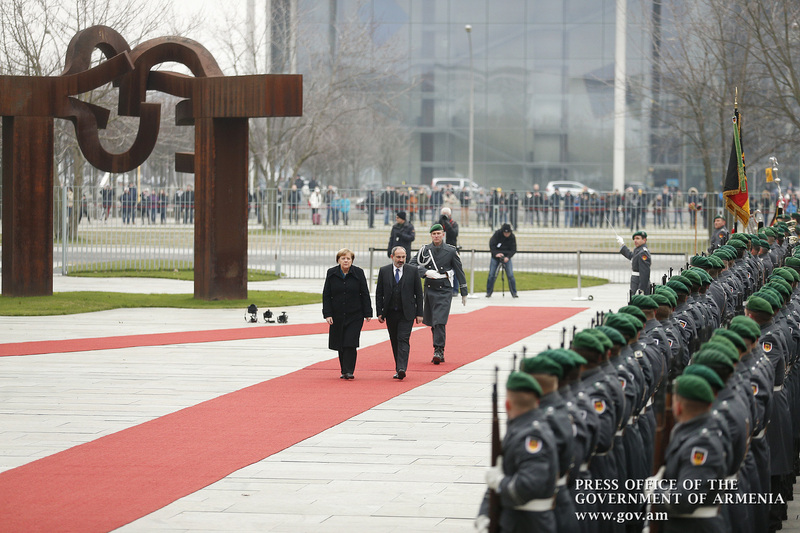 After the performance of the national anthems of the Republic of Armenia and the Federal Republic of Germany, the German Chancellor invited the Prime Minister of the Republic of Armenia to inspect the Guard of Honor. 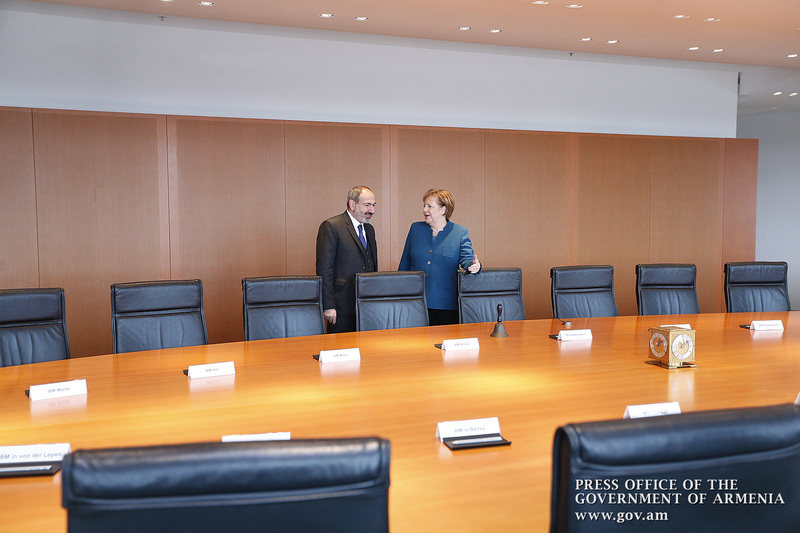 After a handshake and protocol photography, Prime Minister Nikol Pashinyan and Chancellor Angela Merkel held private talks during a working lunch. 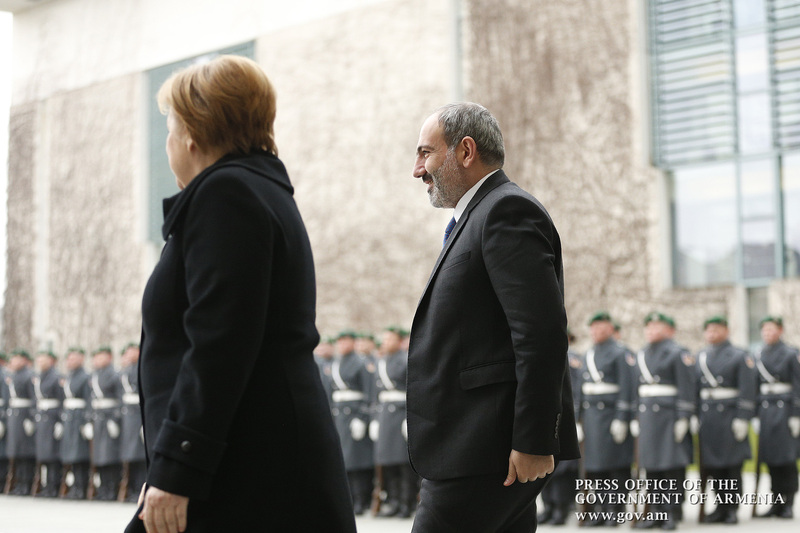 Angela Merkel welcomed and highly appreciated the Armenian Prime Minister’s official visit to Germany, expressing confidence that the visit would give a new impetus to Armenian-German friendly cooperation. 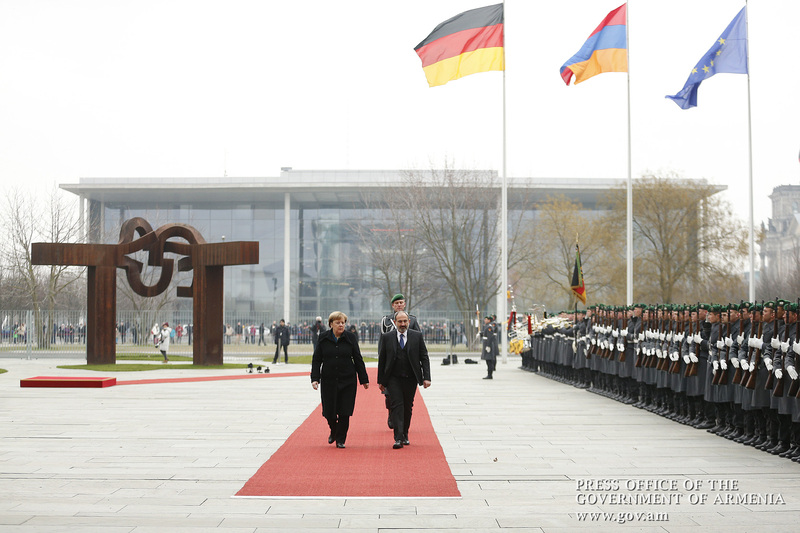 Angela Merkel noted that Germany is interested in the further development of relations with Armenia and stands ready to discuss prospects for expanding bilateral ties. Welcoming the successful holding of parliamentary elections in 2018, the German Chancellor said Germany had been closely following the processes taking place in Armenia, and is prepared to deepen the bilateral relations and support the ongoing multifaceted reforms. 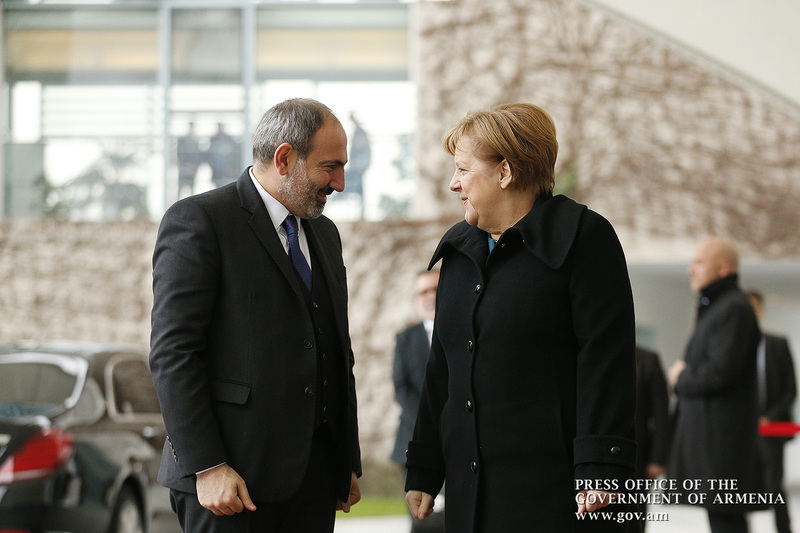 Thankful for the invitation to visit Germany and the warm welcome, Prime Minister Pashinyan hailed the opportunity to meet with Chancellor Merkel once again and take up the discussion over the furtherance of Armenian-German relations. 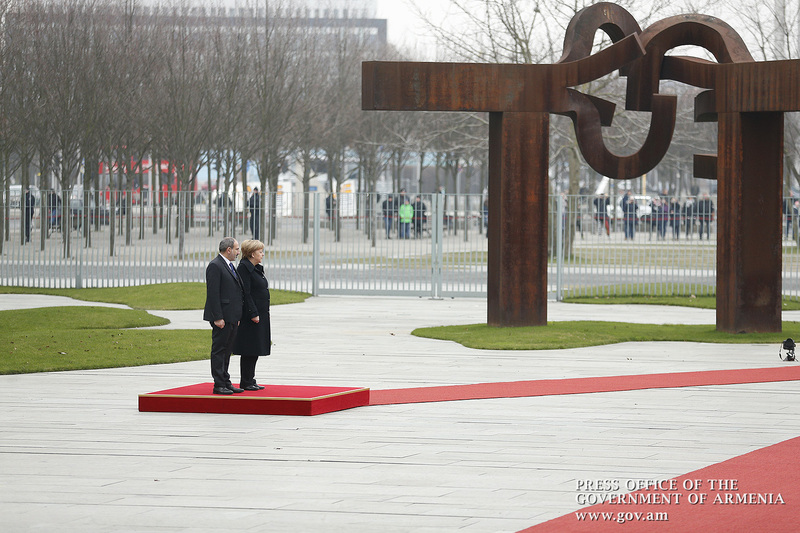 “Your visit to Armenia became an important milestone for the development of Armenian-German cooperation. I can state with joy and pride that my visit comes just five months after your visit. This means that we are striving to lay the foundation for a more profound and targeted cooperation between Armenia and Germany,” the Prime Minister of the Republic of Armenia said. The head of the Armenian government expressed confidence that today, more than ever before, there are all the necessary prerequisites for complementing the Armenian-German cooperation agenda with new content. According to Nikol Pashinyan, the European vector is among the key priorities of Armenia’s foreign policy, and in this respect, he highlighted the cooperation with Germany as one of the most significant EU-member states. 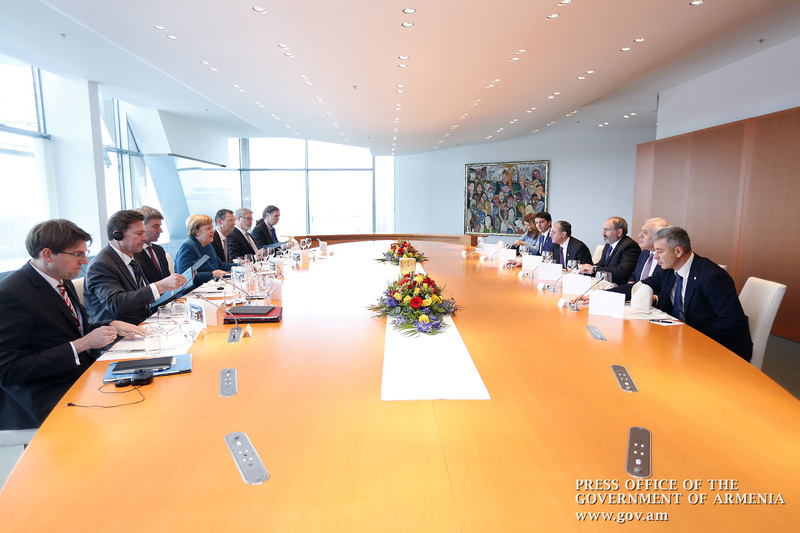 The interlocutors discussed a wide range of issues on the agenda of Armenian-German relations, including bilateral and multilateral cooperation, EU-Armenia interaction, as well as international and regional issues. Nikol Pashinyan noted that the snap parliamentary elections, held on December 9, 2018, were exceptional in Armenia’s history in terms of compliance with the letter of the law and international standards, which once again demonstrates the Government’s commitment to strengthening the rule of law, ensuring a higher level of human rights protection, creating an independent judiciary, and fighting corruption. “The parliamentary elections rounded up the first stage of our revolution. Armenia is moving forward by strengthening the democratic values and institutions. The government is now set to implement an economic revolution in a bid to improve the well-being of Armenian citizens,” the Premier said. 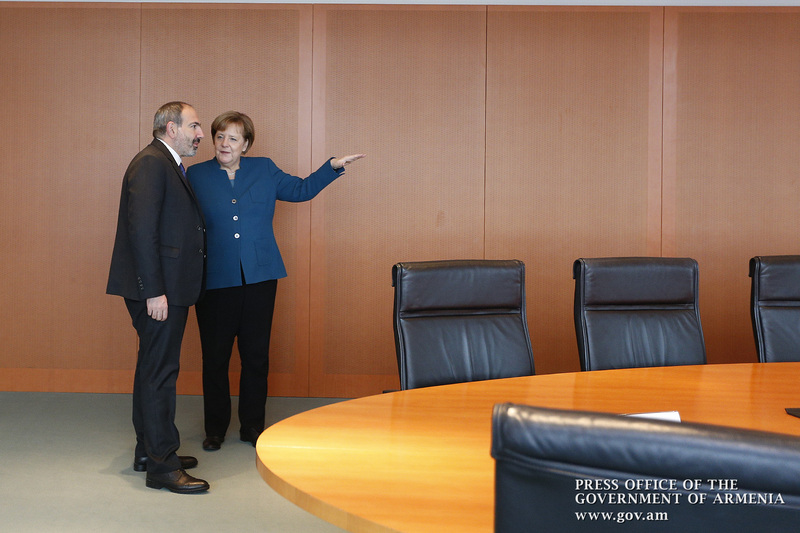 Touching upon the deepening of the Armenian-German economic cooperation, Nikol Pashinyan and Angela Merkel discussed the possibility of implementing joint programs in the fields of information technology, environmental protection and other areas, as well as the prospects for new initiatives. Both sides emphasized that the implementation of such programs might help strengthen ties between the two friendly nations and improve the well-being of their citizens. They agreed to continue the ongoing active dialogue on the implementation of economic programs. The interlocutors next referred to the liberalization of the visa regime with the European Union. The two heads of government exchanged views on the settlement of the Nagorno-Karabakh conflict. They stressed the need for continuing the negotiation process in the format of the OSCE Minsk Group co-chairmanship as the only entity having the international mandate to deal with this issue.